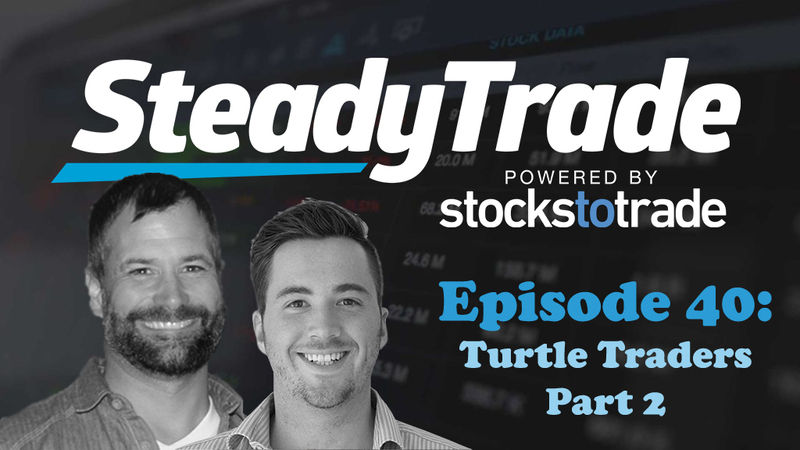 In last week’s episode, hosts Tim Bohen and Stephen Johnson began a discussion of Michael Covel’s book The Complete TurtleTrader: How 23 Novice Investors Became Overnight Millionaires. In today’s episode, they continue their conversation about relevant points from the book. They evaluate several excerpts from the book to try to figure out whether or not it’s possible for new traders to truly make millions. This true-story book details how trader Richard Dennis, who made millions on Wall Street, believed that anyone could follow his trajectory to make their own fortune. He made a wager with a partner to prove it, and recruited novice traders via the Wall Street Journal to prove his point. As it turned out, by teaching his methods, a significant majority of the applicants became successful traders. In last week’s episode, Tim and Stephen began to explore 8 different points from the book. See last week’s episodes for points 1-4; read on for the remaining ones. Are the turtles just smart students? Is this book presenting unrealistic goals due to the fact that the TurtleTrader students were intelligent people? Is there, in fact, a correlation between good traders and intelligence? Or is average intelligence and emotional mettle enough? Tim and Stephen agree that you don’t have to be super smart to be a good trader. It’s about being street smart and being able to identify patterns. They discuss how this is largely a matter of becoming very consistent, which is the overall goal of this podcast. Stephen offers his secret for finding consistency by letting go of arrogance (it’s a big moment!). Consider variables, not money. By taking away the focus on dollar returns, the students in the book began to find success. With this mindset shift, regardless of account size, they could make the right trading decisions. It was the ultimate goal to help the turtles to understand that the speculation takes place in a limitless environment, but if they didn’t protect their capital the probabilities would catch up with them. Tim and Stephen discuss how this is an invaluable approach to the market. After all, if you bet too big, it’s a probabilities game. As Stephen wisely adds, “you could be done for”. Tim and Stephen discuss different approaches to mitigating risk by perfecting certain setups, testing various methods, and really working toward finding what works consistently for you as a trader. Should you follow trends? In TurtleTraders, the author details how rules, rather than intuition, should drive investments. The students in the book were trained as trend followers. That meant they needed a trend to make money, and that they would need to wait for the market to move then follow it, capturing the trend on the way up or down for profit. The general idea? Rules rather than judgments rule the school. Tim and Stephen talk about how rules should indeed drive your investments. No matter what the news says, always look for patterns and movement. That way, you’re waiting for the move to happen rather than anticipating it. Price analysis is all that matters. Should you look at the price analysis above all else? The book ultimately votes yes. Tim and Stephen discuss how you can reduce risk in your investments by taking a price-based approach. As Tim says, “only price pays”. By taking a tactical, price-based approach and looking at the data, you can make the smartest decisions. Moreover, Tim and Stephen agree that The Complete TurtleTrader: How 23 Novice Investors Became Overnight Millionaires is an invaluable resource that every new trader should read for insight and inspiration on their trading journey! We value you as our listeners and want to treat you to the same platform Tim and Stephen use to plan their trades! 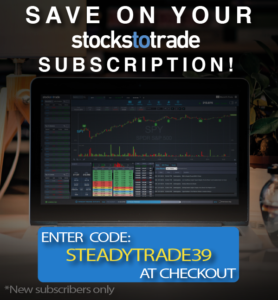 Simply enter the code SteadyTrade39 at checkout to save $39 off your first month! Head over here to get started! Only the first 300 people will get this discount, so hurry! Got a question about the show? Visit the “submit your audio” portion of the website to ask us anything. You may be featured in an upcoming episode! Another excellent podcast on another excellent topic! Thank you!!!! Excellent Podcast guys. Once again you have picked a great topic. Thanks. Appreciate it Cal, thanks for listening! Great part 1 & 2 podcast. I always enjoy the insites of trading ideas and facts. Discipline and patterns should help us to succeed. Thank you guys! Excellent Podcast as always. I’m slowly becoming a turtle trader after blowing up several times. Discipline is #1. Thanks guys.